What do you mean weight bearing exercise won’t prevent osteoporosis? That’s right, what you have read in the paper, what your fitness trainer told you, and what your doctor told you is false with a capital F. The reason why it’s false is because people don’t understand what weight bearing exercise means. 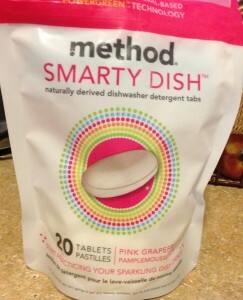 Smarty Dish dishwasher detergent is a natural non toxic dish detergent that is a good alternative to the standard detergent, but you may want to think twice before buy it. Can Perfume Cause Birth Defects? Copyright HealthbyKate.com © 2012. All Rights Reserved.